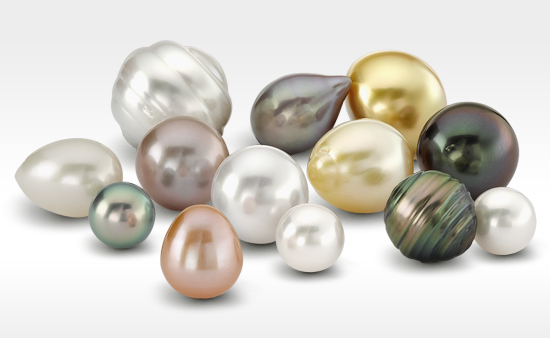 A Historic Pearl Gift for a New Owner? Tonight in New York, a historic pearl gift will find a new owner during the first live auction of Legendary Jewels from the Collection of Elizabeth Taylor. La Peregrina is a natural pearl, reputedly found near the island of Santa Margarita in the Gulf of Panama in 1560 by a slave who was given his freedom by the Governor of Panama, Don Pedro de Temez, for finding it. At the time this extraordinary pear-shaped pearl was also one of the largest ever found, measuring approximately 17.5mm by 25.5mm. The name itself means "Pilgrim" or "Wanderer" and was given as the pearl began an incredible journey of ownership by seven Spanish Kings between 1582 and 1808, the Bonaparte family until 1848 when it finally made its way to England. 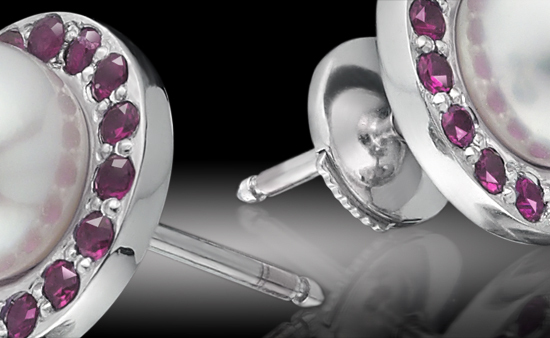 It remains today one of the oldest and best documented historical jewels. Drop and pear-shaped pearls are often made into pendants, but during its history La Peregrina was worn as a brooch, a pendant to a necklace, the centrepiece of a necklace and even a hat ornament. Most recently the pearl was bought for $37,000 by Richard Burton for Elizabeth Taylor as a Valentine's Gift. It was set as a pearl pendant by Al Durante of Cartier in 1972 and suspended from a natural pearl, diamond, ruby and cultured pearl necklace. The complete piece is quite stunning and truly one of a kind. Christies estimate the value of La Peregrina to be between $2 million and $3 million, the second highest valued Lot of the auction. Amongst the glittering selection of 80 other jewels at auction are iconic pieces by Bulgari, Boucheron, Cartier, Tiffany, and Van Cleef & Arpels. In all it is estimated that around $30 million will be raised from the sale in support of the Elizabeth Taylor AIDS Foundation, which was established by Taylor to help provide direct services throughout the world for people living with AIDS. Look out for Lot 12 at the auction....where will the Wanderer's next stage of its historic journey be taking it to next? 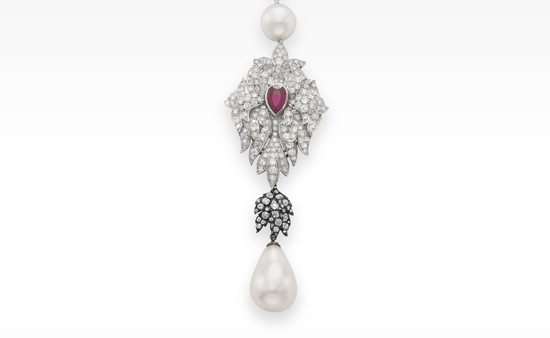 In a fitting tribute to the memory of Elizabeth Taylor, the auction of legendary jewels surpassed all expectations, with the sale of La Peregrina for $11,842,500 creating two new world auction records for a historic pearl and for a pearl jewel.